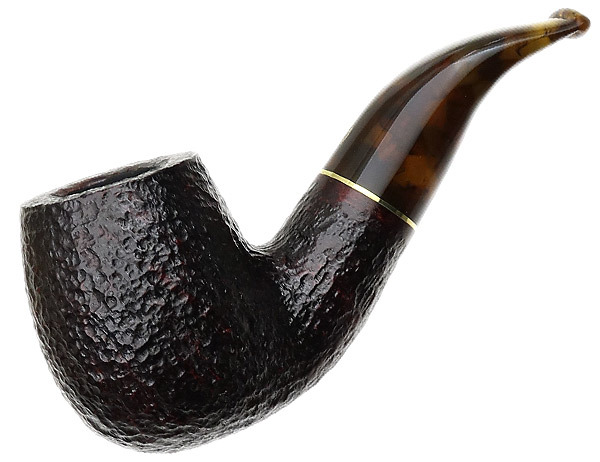 With its full curves and easy bend, the "616 KS" has long been one of Savinelli's most popular bent Billiard designs. Given its full, yet balanced proportions overall, it was a smart choice for the La Corta series, featuring an abbreviated shank and stem to make for a charming little nosewarmer your customers are sure to love. It's presented here in the dark rusticated finish of the line, topped with a tortoiseshell-patterned acrylic stem and trim nickel band to accent.